When Rolling Stone magazine calls you ‘America’s most exciting punk band’ then you’ve obviously made a little bit of an impression. Advocating workers’ rights, making a literal song and dance about the failures of the neo-liberal economic system and having the cojones to call their debut album Full Communism, Downtown Boys could be the perfect way to awaken your inner revolutionary. Hailing from Providence, Rhode Island (cheaper than Manhattan, apparently) their sax-drenched rallying cries focus on issues such as homophobia, queerphobia, sexism, racism and the prison-industrial complex. Heady stuff, but you can totally dance to it. Take the absolutely electric Mostro; switching between Spanish and English, backed by an obese brass section and the plaintive screams from lead singer Victoria Ruiz, they’re here to let you know that they mean business. That’s not to say you won’t have fun though, and you’re nailed on to go into work the next day and throw off the chains of capitalism or demand a decent wage from your bourgeois running dog of a boss. Everything that’s wrong with the world is going to get an absolute musical battering at Alington House in Durham on Monday 30th May. Take note, this is a matinee show that starts at 12pm and support comes from No Ditching and Commiserations. 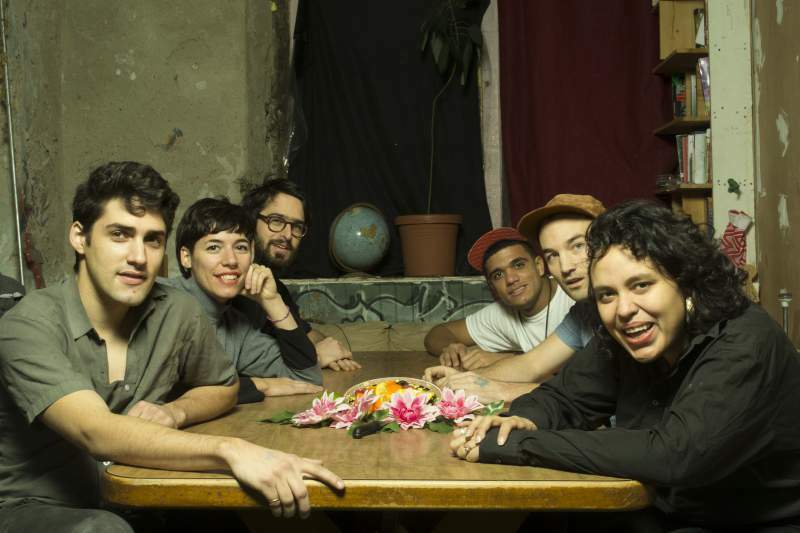 Downtown Boys, No Ditching and Commiserations play Alington House, Durham on Monday 30th May.